Mercury was a car line that started in the 1930s by Henry Ford’s son Edsel Ford. With the Ford Motor Company producing a full line of vehicles and the Lincoln line of cars filling the upscale market, Edsel Ford thought there was room to create a car line between the two. Hence the Mercury car line was born and it continued until January 2011. The first car built by Mercury was the Mercury Eight in 1939. We do have plenty of Mercury brochures, but they start in 1946. The Mercury Eight made a big impression, equipped with a Ford flat head V-8 the vehicle sold for $916. 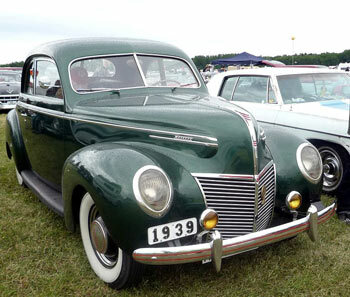 Mercury sold 65800 units in 1939 and through 1940 another 89,200 units. The Mercury brand was off to big start and start the 1941 model year with the Mercury Eight and in 1942 they offered a semi-automatic transmission built by Ford Motor known as the “Liquimatic”, but the 1942 model was cut short by the war. During the war Mercury and Lincoln were merged into a single division known as the Lincoln Mercury Division although they kept their separate brand identity they were managed under one division. Then in 1946 the Mercury Eight was brought back to the market and we have those Mercury brochures. The new model was practically the same as the earlier model, but it featured a new grill and some other minor modifications. When the 1950s rolled around it was time for Mercury to step it up and they doubled the line-up with the Mercury Monterey and the Mercury Custom. 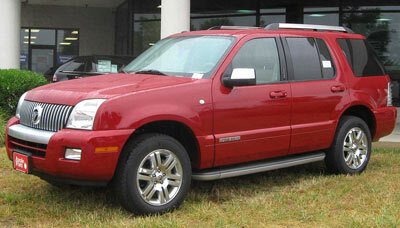 These were both all-new vehicles and they shared many other parts and components with the Lincoln line. The Mercury brochures and sales pamphlets tell the story. The Mercury made a big splash on the big screen when James Dean in Rebel Without a Cause was seen in a Mercury. 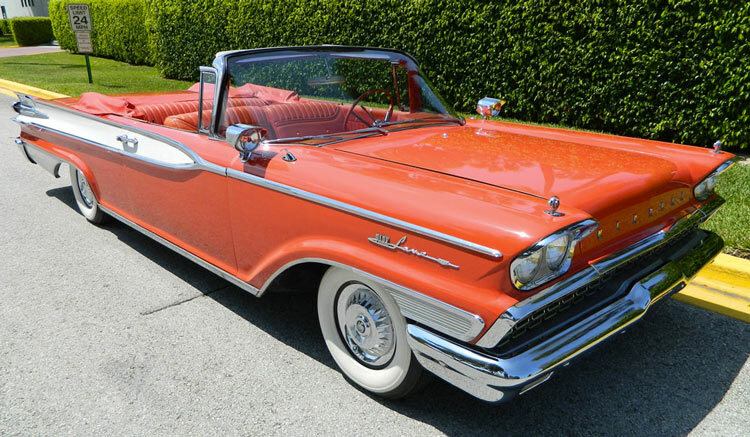 The next new models for the Mercury brand were the Comet and Meteor, which were introduced in the 1960s. The Mercury Comet was known for the luxury features and the Meteor was a midsize car built to compete with the other brands. The Mercury Comet actually earned some respect on the racing circuit in the 1960s and by the end of the 1960s the Mercury Cougar made a big splash, which was a variation on the Mustang. Check out the Mercury brochures for a closer look. Like all the automakers the 1970s were a tough time with the oil crisis. Mercury had to cater to the market and build the cars that buyers wanted. Mercury introduced the all-new smaller Comet a version on the Ford Pinto and the Bobcat, which was a fancier version of the Ford Maverick. See the Mercury brochures below. Mercury continued pushing forward with the Mercury Lynx and Mercury Sable, both of which were similar to the corresponding Ford models. Mercury really hit their stride in the 1990s when they introduced the Mercury Villager minivan and the Mercury Mountaineer SUV. These two upgraded Ford vehicles allowed Mercury to reach sales that were absolutely unbelievable at the time. Later in the 1990s Mercury released a new Cougar front wheel drive compact that was truly a Mercury product rather than a rebadged Ford. After that the remaining vehicles offered by Mercury were rebadged and reworked Ford models and in 2010 Ford decided to end the Mercury line and January of 2011 the last Mercury rolled off the assembly line. However we do have plenty of Mercury brochures and sales literature that showcase their products.